Aimee Steinberger - Follow on Twitter and Instagram. View her website. Bree Paulson - Follow on Twitter and Instagram. View her website and Patrik the Vampire. Michelle Stanford - Follow on Twitter and Instagram. View her website and Centralia 2050. Nikki Hancock - Follow on Instagram. View her website. Lindsey Cowley - Follow on Twitter and Instagram. View her website. Rachel Reed - Follow on Instagram. View her website. Morghan Gill - Follow on Twitter and Instagram. View her website. Curt Merlo - Follow on Twitter and Instagram. View his website. Chris Calzia - Follow on Twitter. View the Space Odditorium website. Dave Law - Follow on Instagram. View the his website and the Space Odditorium. Wil Panganiban - Follow on Twitter and Instagram. View his website. Justin Jones - Follow on Twitter and Instagram. View his website. Chris Kawagiwa - Follow on Twitter and Instagram. View his website. Stasia Barrington - Follow on Instagram. View her website. Noël Clark - Follow on Twitter and Instagram. View her website. Caleb King - Follow on Twitter and Instagram. View his website. Joe Ochman - Follow on Twitter and Instagram. View his website. Cas Anvar - Follow on Twitter and Instagram. See him on The Expanse, now on Amazon Prime. Be sure to follow all the #MartianOnTheLoose global The Expanse book hunt fun! Elysabeth Alfano - Host of Awesome Vegans, Silver Chic Chef, and Celebrity Dinner Party. Featured in the upcoming film Gray is the New Blonde. Hear her influential movies on episode 101. Giovannie Espiritu - Star of the upcoming film D-railed and TV show Dyke Central, acting coach. Hear her influential movies on episode 81. Eddie Furth - Creator and Producer of Historical Roasts (coming to Netflix), comedian. Hear his influential movies on episode 31. Jake Lloyd - Co-founder of Dragon Wagon Radio, host of Elaborate and Dungeons & Dragon Wagon, writer/director of the feature film Pinch, comedian. Hear his influential movies on episode 43. Ron Placone - Comedian, host of Get Your News On with Ron, Producer/Writer on The Jimmy Dore Show. Hear his influential movies on episode 83. Join this lively group as we discuss short lists, 25 cent autographs, fight clubs and tag sales, copycats and infringers, things we can't talk about, everything Gene Wilder, and mind blowing truths! Joe Meyers, co-host of Podcast Macabre and It's On My List, sat down with me on a rainy Los Angeles morning to discuss the movies that made him who he is. Join us, as we talk about sweating out Halloween, askew love, containing your Walter, and legal disclaimers. Elysabeth Alfano, host of Awesome Vegans, Accidental Vegan Chef, and The Celebrity Dinner Party sat down with me to chat about the movies that influenced her to be the amazing, creative woman she is today. Join us, as we discuss one take beauty, refusing the back seat, relaxation at the Circle K, and vegetarian elections. For this very special LIVE episode, I'm joined by Major Francis Monogram, head of OWCA (the Organization Without a Cool Acronym) and Dr. Heinz Doofenshmirtz, head of Doofenshmirtz Evil Inc., who took some time out from their busy days on Disney's Phineas and Ferb, to share a few of the movies that made them the men of good and evil, respectively, they are today. Enjoy the fun, as we discuss majestic women with low names, Theodore Poopypants, Rutherford B. Hayes' beard, Telephonenumber-inators, and diabolical plots. Neil Landau, author of TV Writing on Demand: Creating Great Content in the Digital Era; co-screenwriter of Don't Tell Mom The Babysitter's Dead (with episode 17 guest Tara Ison); and Assistant Dean, Special Programs and Associate Director, MFA Screenwriting - Writing for Television with the UCLA School of Film & Television, sat down with me to share the movies that made him. Join us, as we discuss incorrigible optimism, real-life fictional father figures, uncertainty ever after, and poking bears. Tony Wayne, actor who has appeared in numerous episodes of Fox's 24, as well starring in the feature film Pinch (directed by episode 43 guest Jake Lloyd), sat down with me to discuss the movies that made him who he is. Join us, as we discuss the clap, Shakespeare of the Valley, Russian influence, and beginner's luck. Long Beach Comic Con's Artist Alley is rich with amazingly talented people, each offering their own unique approach to the creation of art and merchandise for fans of pop culture. I recorded with a variety of these creators and asked each to share a movie that influenced them to be who they are today. Please be sure to visit the websites and social media for each of my guests, follow them, and, perhaps, buy some of their work! 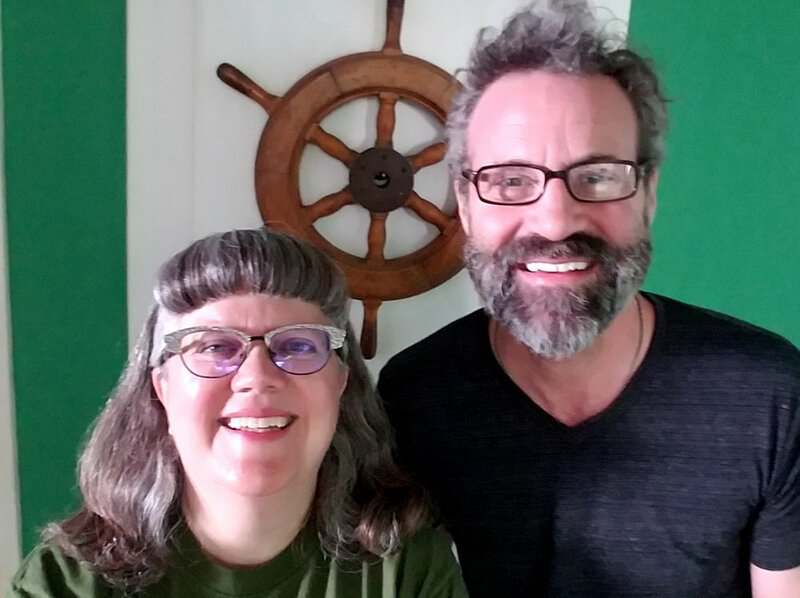 Phil Johnson, host of Under the Crossbones: A Pirate Podcast, comedian and singer, sat down with me to talk about the movies that made him. Join us, as we discuss spoon-free comedy, digging backward, Ozzy for mom, and the world's most influential vest. Don't miss out on Phil's generous offer of a FREE DOWNLOAD of his latest comedy special, just for Movies Made Me listeners!! Alexander Hoffman, artist and creator of Tales of Absurdity webcomic and book, joins me to talk about the movies that made him who he is. Listen along, as we discuss hang gliding into Disneyland, 1984 for 1984, dumb people in a smart world, and sonic notebooks. I spent the first day of Comic-Con International: San Diego recording with con-goers who attended our Podcast Advocates panel, artists selling their amazing work on Artist's Alley, and creators in the Small Press area. Each of them shared with me a movie that influenced them to be who they are today. Please be sure to visit the websites and social media for each of my guests, follow them, and, perhaps, buy some of their work!